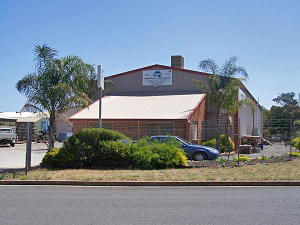 Established in 1987, servicing both Commercial and Industrial companies, Austek Engineering Trading Pty. Ltd. is an Australian owned, medium sized engineering firm situated in the Northern suburbs of Adelaide, South Australia, and has the capability to handle a large range of engineering services. Austek’s versatile and highly skilled personnel have an average of 25 years in the trades of metal fabrication and processing, welding, machining and sheet metal. Together with our clients we can take final designs through to completion, work with them on proto-type and R&D projects or undertake modifications and additions to existing equipment and designs. Utilising the latest sheet metal fabrication, laser cutting, bending, welding and machining techniques, in materials such as Aluminium, Stainless Steel and Mild Steel, Austek can construct your project in a timely fashion, and with access to an extensive selection of machinery and equipment, both manual and NC, can guarantee that the precision and quality will meet your highest expectations. Whether your project is for the Food and Beverage industry, Manufacturing Industry, Agricultural or for the Military we have the skills and equipment to ensure your desired result.